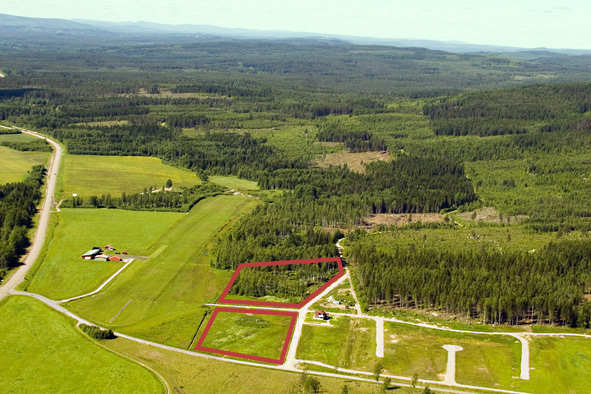 Himmelslätta Airpark consists of two village areas north respective west -one village on each side of the runway. 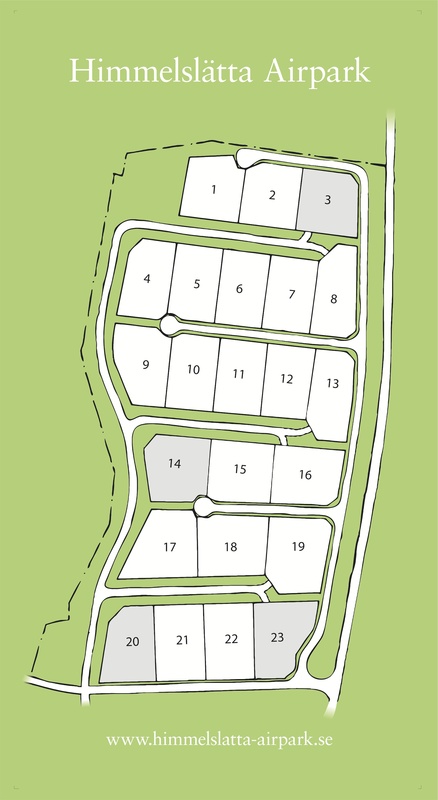 The two village areas consist of 50 plots on app. 2000m² each. The plots are designed to allow room for a individual hangars. Taxiways will connect all plots with the adjacent runway. Plot price offers will be inclusive water and sewage and electricity. It also gives you a share in the runway and voting rights. In collaboration with the construction companies we will also be able to offer a complete and exciting house packages. Map of our sites. Plots which have been marked gray are sold. Connect with the construction at Himmelslätta Airpark! We are now planning for the new business center. There are many advantages of placing your businessin the countryside: lower rents, business support, ample parking, no crowding or busy roads. Best of all– nature just around the corner. It is also very close to the railway station Djurås and domestic flights from the airport in Borlänge. There will also be room for offices, restaurants, exhibition halls and other small industry. With the runway around the corner and broadband fibers in the walls the infrastructure could hardly be better. Why not have your business join us?